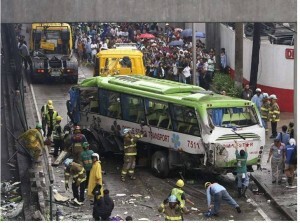 Occupational Safety Conditions of Bus Drivers in Metro Manila, the Philippines. International Journal of Occupational Safety and Ergonomics, 22 (4): 508-513, 2016. Catchy title of research: Is it all the fault of the Bus Drivers on the road? 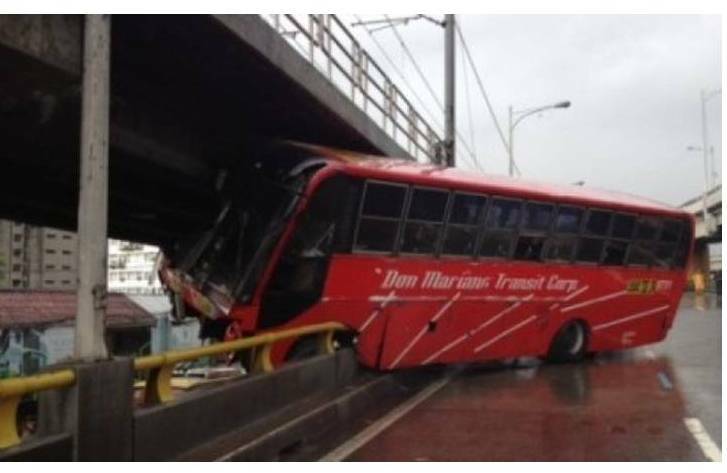 Metro Manila bus drivers were found to be exposed to hazardous working conditions such as long working hours, fatigue and lack of sleep, and were engaged in unsafe behaviors such as overspeeding and road racing. All these factors have been shown to be related to bus-related accidents causing deaths, injuries, and illnesses. This study conveys the need to formulate an actual occupational health and safety program for the bus drivers in the Philippines to ensure both driver and public safety. It is highly recommended that DOLE releases absolute and restrictive guidelines in computing wage rates and imposition of labor and occupational health standards for bus drivers. This is because majority of bus drivers experienced time pressure to reach their daily quota. It would be better to construct a new wage system based on living wage and not on productivity. Degradations of Acetaminophen Via a K2S2O8-Doped TiO2 Photocatalyst Under Visible Light Irradiation. Chemosphere, 155: 388–394, July 2016. Acetaminophen (ACT) is a mild analgesic commonly used for relief of fever, headache and some minor pains. It had been detected in both fixed factory-discharged wastewaters, and diverse sources, e.g. surface waters during festival events. 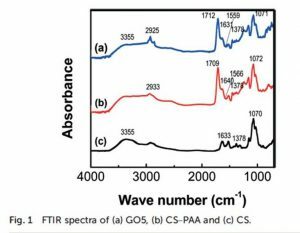 Degradation of such trace emergent pollutants by titanium dioxide (TiO2) photocatalysts is a common approach; however, the band gap that can be utilized in the UV range is limited. In order to extend downward the energy required to excite the photocatalytic material, doping with potassium peroxodisulfate (K2S2O8) by a sol-gel method was done in this work. 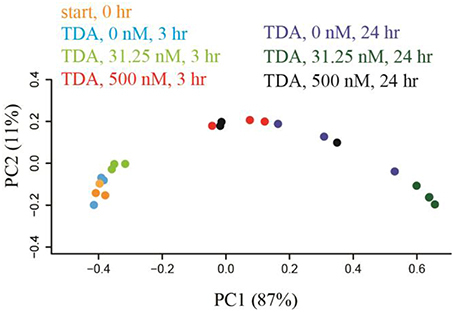 The visible-light active photocatalyst was tested on the degradation of ACT under four parameters including: initial ACT concentration, catalyst dose, initial pH, and system temperature. Optimal conditions, which achieved 100% ACT degradation, were obtained by using 0.1 mM ACT initial concentration, catalyst dose of 1 g L−1, initial pH of 9.0 and system temperature of 22 °C at the end of 9-h irradiation. Meanwhile, three types of degradation kinetic models (i.e. zero, pseudo first and second order) were tested. The feasible model followed a pseudo-first order model with the computed constant (kapp) of 7.29 × 10−3 min−1. The present study provides a better photocatalytic degradation route by K2S2O8-modified TiO2 in comparison with pristine TiO2, in wastewater treatment dealing with ACT and other persistent organic pollutants. “Methods and Technology for Rapid and Accurate Detection of Foodborne Pathogens” in Foodborne Pathogens and Food Safety. Latiful Bari and Dike O. Ukuku (editors). Boca Raton, USA: CRC Press, 2016. “Ethnic Fermented Foods of the Philippines with Reference to Lactic Acid Bacteria and Yeasts” in Ethnic Fermented Foods and Alcoholic Beverages of Asia. Jyoti Prakash Tamang (editor). India: Springer, 2016. 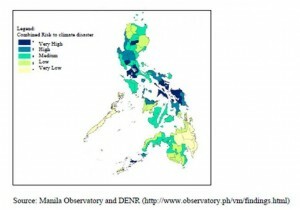 Impact of Climate Change on Human Health. Acta Medica Philippina, 50 (2): 91-98, 2016. Catchy title of research: Can climate change affect your health, safety and food security? Climate change can influence the nature and severity of climate-related natural disasters such as flooding and drought, hence, increasing diseases and injuring among human population. Malnutrition and hunger may also result because of the affectation of agricultural production adversely affected by climate change. I is therefore necessary to attend to climate change issues not only for the protection of the environment, but also for maintaining your health. Predicting Vote Choice for Celebrity and Political Dynasty Candidates in Philippine National Elections. Philippine Political Science Journal, 37 (2): 82-93, July 2016. Catchy title of research: Who votes for media celebrity and dynastic candidates in Philippine Senatorial elections? Figure 1. 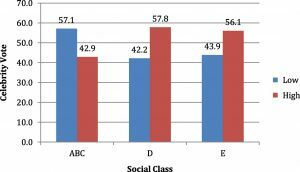 Social class and celebrity votes (2010). Figure 2. Social class and dynasty votes (2010). Media celebrities and political dynasts dominate Philippine electoral politics, but little individual-level research has been done to understand who votes for them. To address this question, we analyzed data from three sets of nationally representative pre-election surveys conducted by Social Weather Stations, Inc. Sample sizes range from 1200 to 2000, sampled through multi-stage cluster sampling procedures for a nationally representative set of respondents with a margin of error at the national level of +/- 3%. The field dates are March 2004, April 2007, and February 2010, with each election having 12 open seats for senator. Candidates who are or have been media personalities (i.e., popular athletes, and news correspondents), were tagged as media celebrities while candidates related to a current or past nationally elected official (i.e. president, vice president, or senator) within the second degree of consanguinity were tagged as political dynasty. Findings show that poorer voters are more likely to select media celebrities than are wealthier voters, but they are no more likely to pick dynastic candidates. The reverse is then true for education, where the less-educated voters vote for celebrities but are less likely to vote for dynasties. This difference in direction of effect is curious and runs counter to popular belief that members of political dynasties skate through elections riding on their name alone and relying on simple recall of the voter. 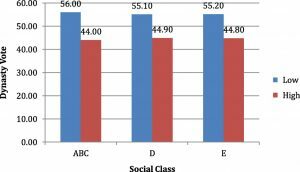 Some local literature has suggested that this may be a privileging of educational status for candidates, that is, educated voters select highly educated candidates and those are often the members of political dynasties (David & San Pascual, 2015). The argument is consistent with the fact that media celebrity candidates often have much lower educational attainments. Younger voters are less likely to select celebrities, a direction that is the opposite of what is popularly believed. Compared to voters in Luzon, those in Visayas and Mindanao are less likely to select celebrities. 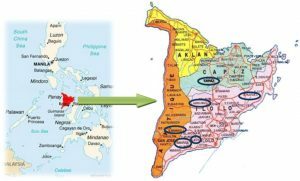 The mechanism here may be related to political information or media access, as these areas are far outside the political center of the country (NCR or Manila). The Philippines in 2015: A House Still Not in Order?. Asian Survey, 56 (1): 115-122, January/February 2016. Other than the South China Sea (SCS) disputes, the Philippines in 2015 faced the same conditions as in 1996: keeping a sustainable peace in Mindanao, presidential elections, and a promising economy. 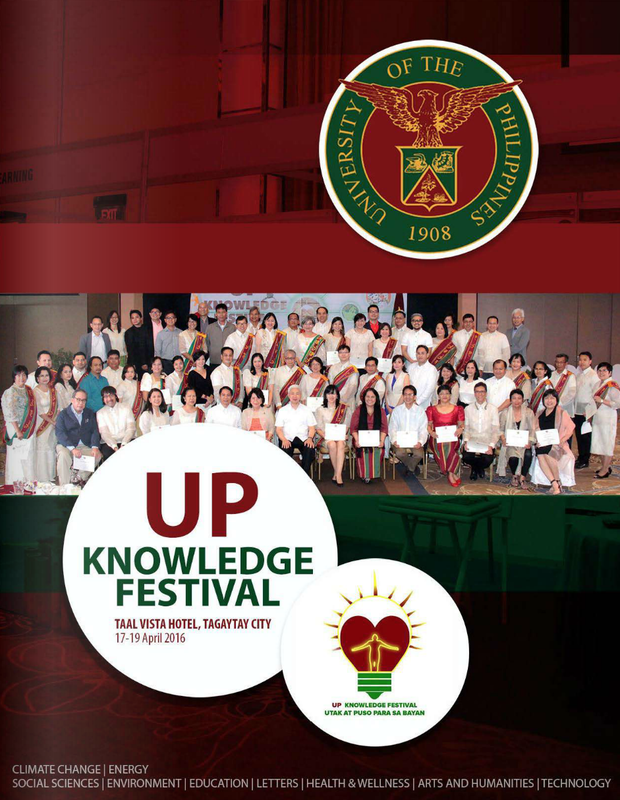 The year was capped by the country’s hosting of the Asia Pacific Economic Cooperation (APEC) Summit. Chinese assertiveness challenged ASEAN’s unity and made closer Philippine ties to Washington and Tokyo an imperative. 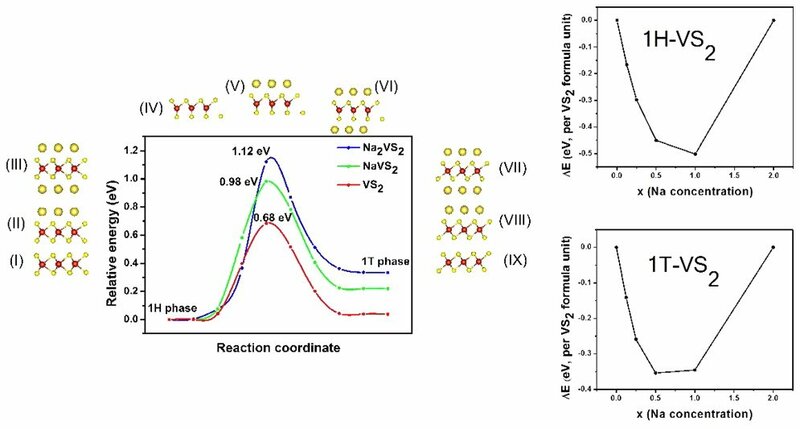 “Synthesis and Characterization of Fe-Sn Nanoparticles Via the Galvanic Replacement Method” in Advanced Materials,, Structures and Mechanical Engineering. Mosbeh Kaloop (editor). London, United Kingdom: CRC Press, 2016. 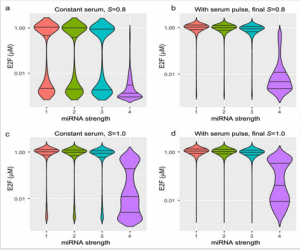 MicroRNA Inhibition Fine-Tunes and Provides Robustness to the Restriction Point Switch of the Cell Cycle. Scientific Reports, 6: 32823, 13 pages, September 2016. 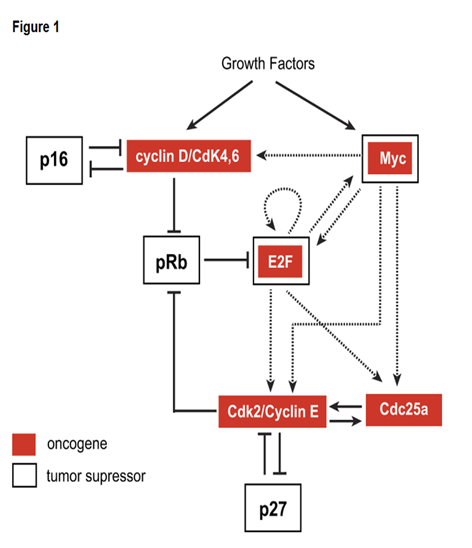 Photo Caption: A cancer network commonly described as the Rb-E2F network. Photo Caption: Noise buffering by microRNAs. 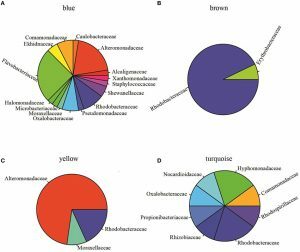 Changes in the Structure of the Microbial Community Associated with Nannochloropsis salina Following Treatments with Antibiotics and Bioactive Compounds. Frontiers in Microbiology, 7: 1155, 13 pages, 26 July 2016. Relative abundance of OTUs (at the family level) in the modules that comprise the microbial community. 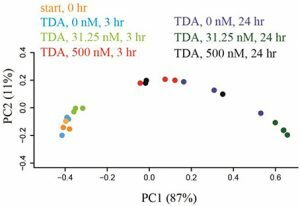 Addition of tropodithietic acid shifted the microbial community structure in a dose-dependent manner within a 3 hours period. The overall fitness of outdoor algal monocultures, to some extent, depend on the associated microbial communities and their individual and collective response to chemical and physical perturbations. We employed metagenomic sequencing and network analysis to identify the bacterial species associated with Nannochloropsis salina and model changes in inter-species relationships as a function of antibiotic or bioactive compound treatments. Using this framework, we were able to identify groups of bacterial species with high centrality (Alteromonadeles and Alphaproteobacteria) and suggest that these “keystone” species occupy a special role in the community. Further, our studies revealed that the addition of the chemical tropodithietic acid, which is secreted by several species of Alteromonadeles, drastically changed the microbial social structure within a short span of time. 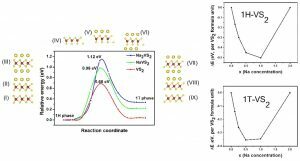 Metallic VS2 Monolayer Polytypes as Potential Sodium-Ion Battery Anode via ab Initio Random Structure Searching. ACS Applied Materials & Interfaces, 8 (29): 18754–18762, July 2016. 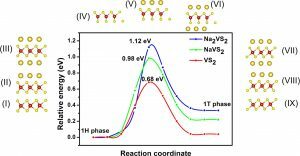 Structural phase transition of VS2 under Na adsorption, and Na ion adsorption energy vs Na ion concentration. Migration pathway and energetics of Na ion diffusion on the surface of single-layer VS2. Single-layer VS2 is part of a family of two-dimensional materials called transition metal dichalcogenides (TMDs). Recently, it has been successfully fabricated, thus opening a wide door for research opportunities utilizing the material. There are two types of structures for this material known as 1H and 1T. Both are conductors, and as such they are very good candidates as anode materials for batteries, particularly that of Sodium-Ion Batteries (NIBs). 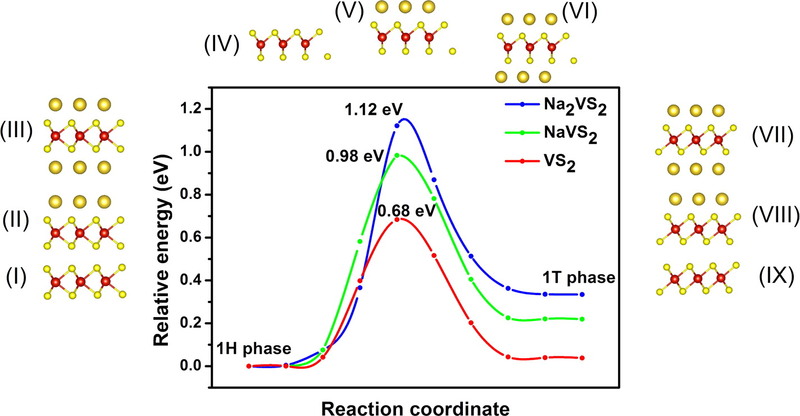 Our results showed three important things that are very valuable in the battery industry: (1) VS2 structure remains robust under Na adsorption, making it a sturdy good material as electrodes (2) Na adsorption on VS2 is not uniform in nature, but rather consists of layers that limit the energy capacity of the battery and (3) Although the calculated energy capacity is not so high, VS2 is still a very promising candidate material for NIBs due to its excellent structural and electronic properties. 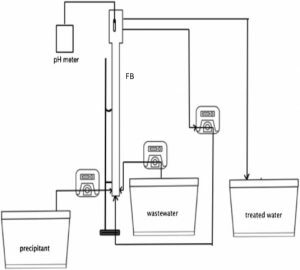 Nickel Recovery from Synthetic Watts Bath Electroplating Wastewater by Homogeneous Fluidized Bed Granulation Process. Separation and Purification Technology, 169: 128–136, 1 September 2016. Diagram of the fluidized-bed reactor set-up. This study determined the removal of nickel from a synthetic Watts bath electroplating composition (NiCl2_6H2O, NiSO4_6H2O, and H3BO3) by homogeneous fluidized-bed granulation process. 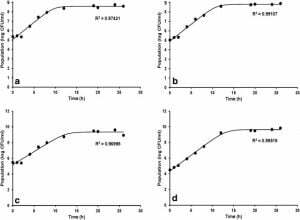 The effects of adding calcium ions present in an electroplating bath while varying influent nickel concentration (200 mg_L_1, 300 mg_L_1, and 400 mg_L_1), [CO3 2_:Ni2+] molar ratio (1.0, 1.5 and 2.0) and pH of carbonate precipitant (10.5, 10.8, and 11.0) were evaluated. Calcium ion addition was varied at 20 mg_L_1, 50 mg_L_1, and 100 mg_L_1. The best operating conditions were at 300 mg_L_1 influent nickel concentration, [CO3 2_:Ni2+] molar ratio of 1.5, and pH of 10.8 of the precipitant from different types of water source. 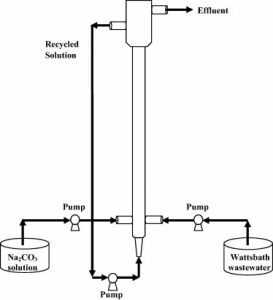 The removal of nickel from synthetic Watts bath electroplating wastewater using tapwater was 84.93%, and 92.66% with the addition of Ca2+ ion at 20 mg_L_1. For the synthetic Watts bath electroplating wastewater using reverse osmosis water, nickel removal was 97.08% and 98.51% when pure nickel ion in the solution was used. The characterized granules has low symmetry that confirmed the characteristics of a nullaginite mineral of Ni2(CO3)(OH)2. Guardians Reinvented: The Philippine Army’s Non-Traditional Engagements in Panay island, Philippines. Philippine Political Science Journal, 37 (2): 135-158, 2016. Figure 1. 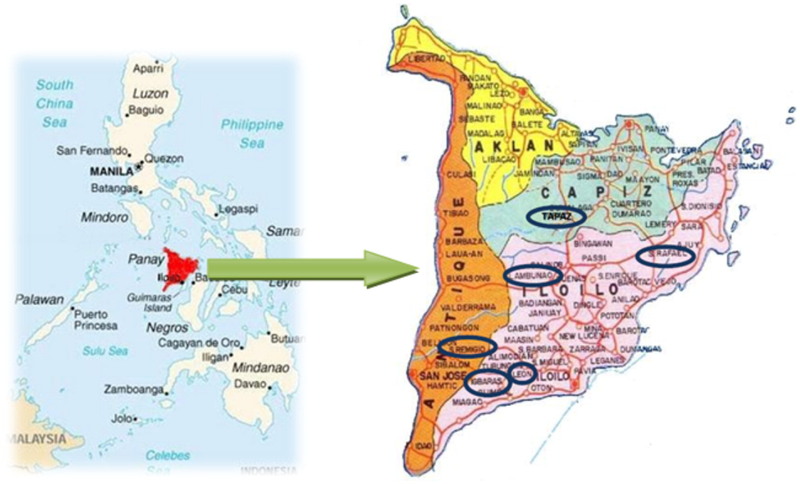 Map of Panay island, Philippines with study localities in circle. Source: Image from “My Cycling Tour on Panay, Philippine Islands.” 2011. Alan Bloom’s cycling home page. http://n1al.net/bike/phil_tour/phil.htm and “Modeling Panay Bukidnon Settlement Patterns.” n.d. Aboutphilippines.ph. http://aboutphilippines.ph/files/Modeling_Panay_Bukidnon_Settlement_Patterns.pdf. 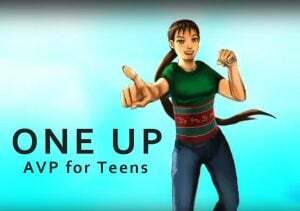 In 2010, the Armed Forces of the Philippine rolled out its new internal security blueprint called Oplan Bayanihan. The latest campaign plan formally establishes and legitimises the military’s involvement in development projects, disaster response and community dialogues that directly contribute to the national government’s peace initiatives vis-a-vis armed groups. The plan commits the military to collaborative and coordinative relationships with civil society organisation. Using community-member focus group discussions and interviews of military officers and NGO leaders involved in construction, peace and development, and disaster response activities in a purposive sample of localities within the area of operations of3 Infantry Division, the research mapped and described the Philippine army’s patterns of engagements with civilian actors (local government officials, NGOs andcommunity members). Among the key findings were: local military units have a limited number of activities that featured seminal outward linkages, resource and expertise sharing with civilian actors from 2010-2014. 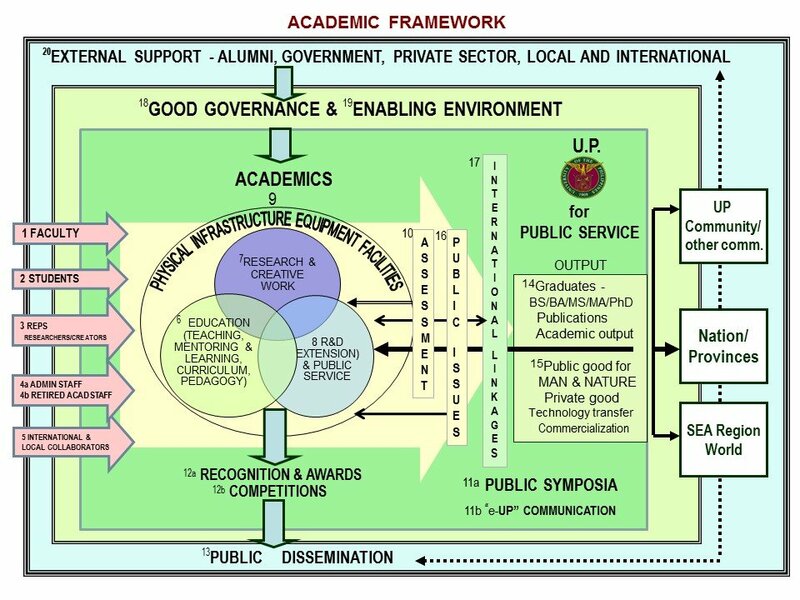 While the activities observed local government protocols, the use of civilian mechanisms for project conceptualization, design and implementation were uneven across mission-types, but with clearer parameters for disaster response. Counterinsurgency mindset continues to inform choice and dynamics of the army’s engagements. Despite institutional capability deficits, the army’s non-traditional activities are providing crucial learning experiences for junior officers, which in turn are seen as important training ground for comparable international missions in the future. Incorporation of Graphene Oxide into a Chitosan–Poly(Acrylic Acid) Porous Polymer Nanocomposite for Enhanced Lead Adsorption. Environmental Science: Nano, 3: 475-684, 01 June 2016. Catchy title of research: Incorporation of graphene oxide into a chitosan–poly(acrylic acid) porous polymer nanocomposite for enhanced lead adsorption. The present study describes the successful incorporation of graphene oxide (GO) into a binary polymer composite blend of chitosan–poly(acrylic acid) (CS–PAA) to obtain porous hydrogel nanocomposite beads with higher lead removal and regeneration capability than any other chitosan hydrogel material or activated carbon. In the present study, we determine the effects of different concentrations of GO in the nanocomposite, as well as the role of pH and nanocomposite load in Pb2+ removal. The mechanisms of sorption and diffusion of lead in this new nanocomposite, as well as its reusability after regeneration were also investigated. The results show that the addition of GO into the polymer blend has increased significantly the metal uptake capacity owing to the additional oxygen-containing functional groups present in GO and the increase in surface area. Additionally, the solution pH affected the nanocomposite adsorption, with the best adsorption occurring at pH 5. 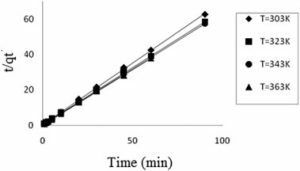 The most economical adsorbent loading was determined to be 37.5 g of hydrogel beads per liter of solution. The pseudo second-order model best described the adsorption kinetics and determined that chemisorption was the mechanism of lead removal. The diffusion mechanism of this new nanocomposite was determined using the intraparticle diffusion model, which suggested that adsorption occurred in three distinct phases. The adsorption isotherms for the hydrogel beads all showed excellent fit to the Langmuir isotherm model. 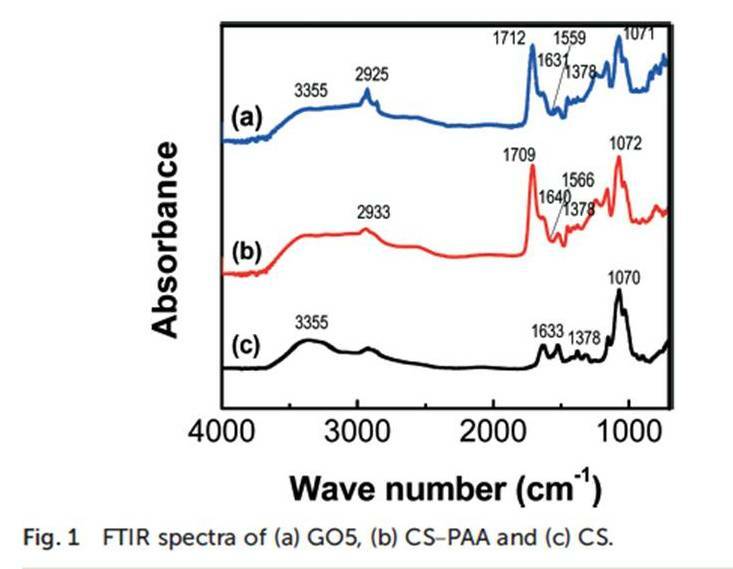 The CS–PAA beads with 5% GO presented the highest Pb2+ adsorption capacity (138.89 mg g−1). When this material was subjected to 3 cycles of adsorption–desorption, relatively high removal values were obtained, indicating good reusability and showing that the GO–CS–PAA nanocomposite beads could be applied to remove lead from water. Homogenization of Optimal Control Problems in Perforated Domains Via Periodic Unfolding Method. Applicable Analysis, 95 (11): 2517-2534, November 2016. This article aims to study the limiting behaviors of optimal control problems based on an elliptic boundary value problem with highly oscillating coefficients in a periodically perforated domain. We consider here the two different usual types of cost functionals. We use the periodic unfolding method for perforated domains to homogenize the problems and prove that under this method, only the energy corresponding one type of cost functional converges. Removal of Nickel by Homogeneous Granulation in a Fluidized-Bed Reactor. Chemosphere, 164: 59–67, December 2016. Schematic diagram of the fluidized-bed reactor. Heavy metal removal is a significant task that protects our water resources. Fluidized-bed homogeneous granulation process (FBHGP) was used to treat nickel containing wastewaters by recovering nickel in the form of nickel carbonate hydroxide granules with low moisture content rather than soft sludge. This study investigated nickel removal and recovery through HFBGP by determining the effects of varying influent nickel concentrations, [CO3 2_: Ni2+] molar ratios, and pH of the precipitant. 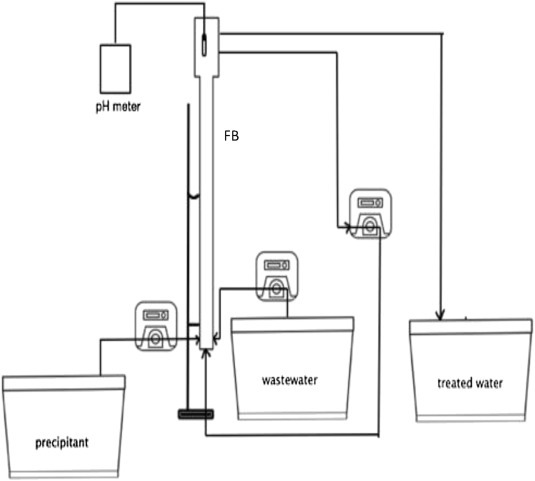 This was conducted in a continuous process using a laboratory scale fluidized-bed reactor that determined the effects driven by supersaturation. The best operating conditions that resulted in a 98.8% nickel removal and 97.8% granulation efficiency were 200 mg L_1 influent nickel concentration, 2.0 M R of [CO32-:Ni2+], and 10.7 pH of precipitant. Based on SEM analysis, the granules formed have sizes between 0.50 mm and 0.15 mm. EDS results showed that the atomic percentages of nickel carbon, and hydrogen were ~50%, ~9e12%, and ~35% respectively, representing the nickel carbonate compound. The XRD results showed the low symmetry of the granules formed that confirmed the characteristics of nullaginite mineral of Ni2(CO3)(OH)2. Using Activated Clay for Adsorption of Sulfone Compounds in Diesel. Journal of Cleaner Production, 124: 378–382, 15 June 2016. Kinetic study of sulfur adsorption onto activated clay based on pseudo-second-order model (m = 10 g, rate = 300 rpm, t = 90 min). The aim of this study was to evaluate the adsorption performance of activated clay (bentonite) in removing sulfur compounds from diesel fuel. Studies have proved that oxidative desulfurization is more cost effective than the traditional hydrodesulfurization process. In this investigation, oxidative desulfurization was used under mild conditions with hydrogen peroxide as an oxidant, phosphotungstic acid as a catalyst and tetraoctylammonium bromide as a phase transfer agent, to convert sulfur-containing compounds in diesel to their sulfone forms. The sulfone compounds were then removed by adsorption using activated clay as an adsorbent. 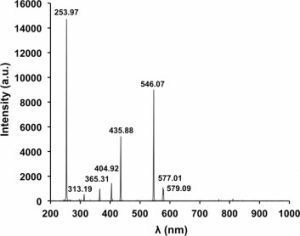 The performance of activated clay particles in adsorbing sulfone compounds was evaluated through equilibrium and kinetic studies. The adsorption kinetics was pseudosecond order. The initial sulfur content of 1109.3 ppm was reduced to below 10 ppm, achieving a sulfur removal rate of 99%. Therefore, activated clay was found to be effective in obtaining ultra-low sulfur diesel. 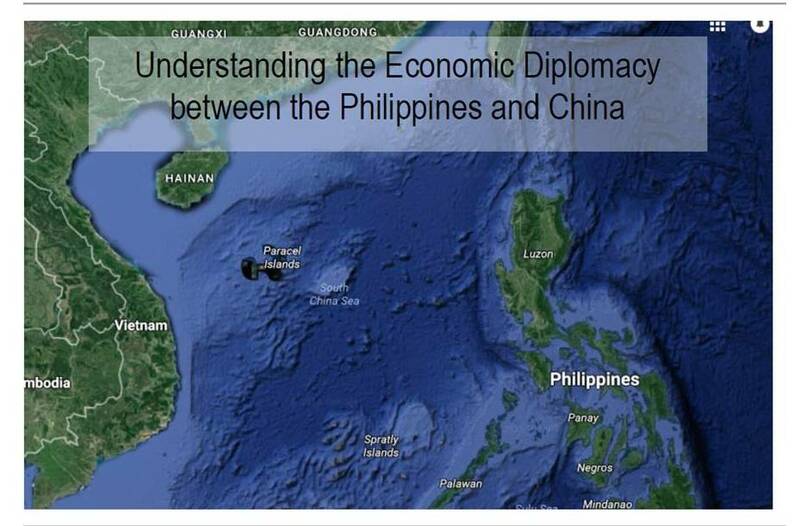 Understanding the Economic Diplomacy Between the Philippines and China. International Journal of China Studies, 7 (2): 215-233, August 2016. 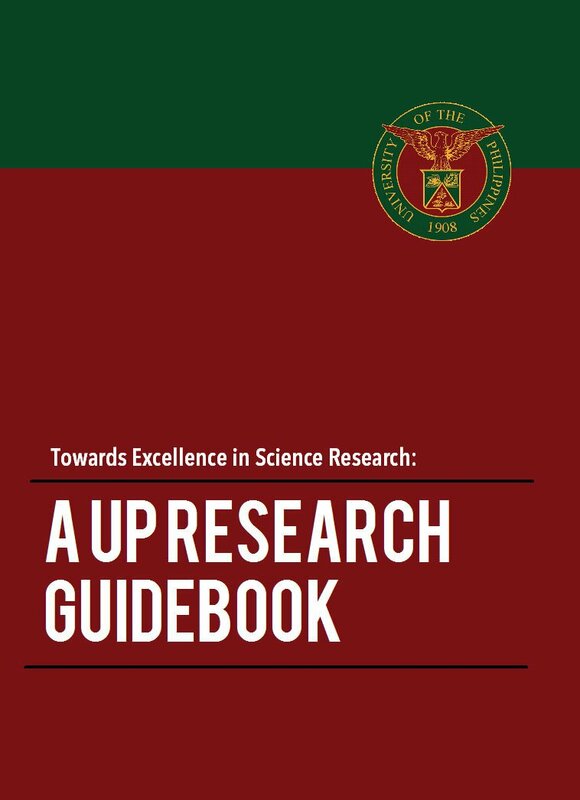 The research sheds light on the economic relationship between the Philippines and China through an analysis of formal bilateral agreements and descriptive statistics in trade, investment, and aid. 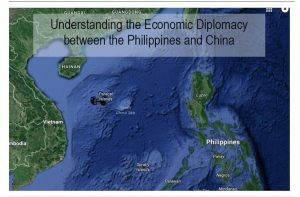 The juxtaposition of state intentions, as manifested in Memoranda of Agreement, with the actual value of the economic indicators mentioned above, as reflected in data, allow an analysis that structures the type of economic engagement that China operationalizes with the Philippines. Furthermore, the study serves as an insight in considering possible actions that China can take in times of bilateral tension. The study contributes input to considerations of security, strategic studies, and statecraft. Health-Promoting Bioactivities of Betalains from Red Dragon Fruit (Hylocereus polyrhizus (Weber) Britton and Rose) Peels as Affected by Carbohydrate Encapsulation. Journal of the Science of Food and Agriculture, 96 (14): 4679–4689, November 2016. Figure 1. Thin layer chromatogram of dragon fruit peel extract and betalain references. Figure 2. 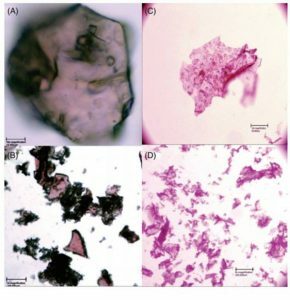 Optical microscopy images of MGB microparticles at (A) 40× magnification and (B) 4× magnification and MPB microparticles at (C) 10× magnification and (D) 4× magnification. Betalains, which are red-purple and yellow pigments, are ideal alternatives to synthetic colorants as they possess strong coloring potential and excellent health-contributing properties. However, the instability of betalains toward normal storage and biological conditions, in addition to the limited number of betalain sources, impedes their food application and diminishes their bioactivities. 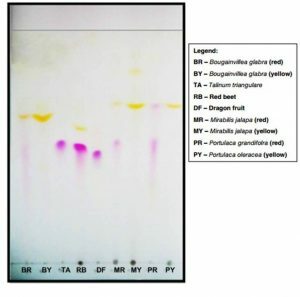 This study aimed to evaluate the health-promoting bioactivities of betalains from red dragon fruit (Hylocereus polyrhizus (Weber) Britton and Rose) peels as affected by encapsulation in maltodextrin–gum Arabic and maltodextrin–pectin matrices. Encapsulation is a process where one material or a mixture of materials (core) is coated with or entrapped within another material or system call the wall material. In general, encapsulation can be used to prolong the shelf life, promote stability, preserve or enhance bioactivity, and allow controlled and efficient delivery of bioactive substances. 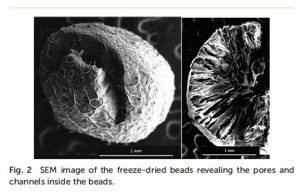 Encapsulation in maltodextrin–gum Arabic and maltodextrin–pectin matrices afforded dry betalain powders after freeze-drying. Optical microscopy imaging showed that the betalain powders consisted of matrix-type and shard-like microparticles. 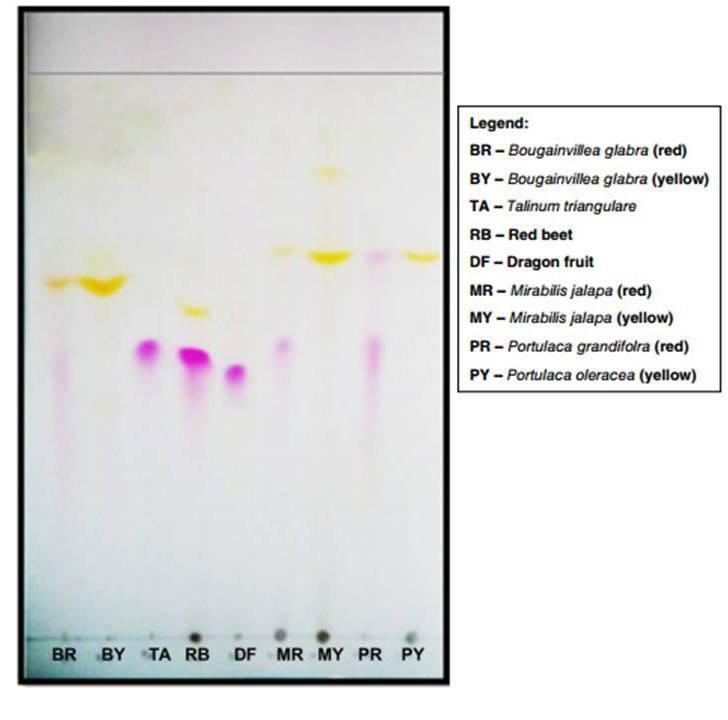 ABTS antioxidant assay revealed that maltodextrin–gum Arabic–betalain (MGB) and maltodextrin–pectin–betalain (MPB) microparticles possessed higher antioxidant capacities than the non-encapsulated betalain extract. Duck embryo chorioallantoic membrane (CAM) vascular irritation assay showed that the anti-inflammatory activity of encapsulated betalains was five- to six-fold higher than that of non-encapsulated betalains. Anti-angiogenic activity, as evaluated by duck embryo CAM assay, was enhanced two- to four-fold by carbohydrate encapsulation. Glutathione S-transferase (GST)-inducing activity of betalains was likewise improved. Atmospheric Pressure Plasma Jet Inactivation of Pseudomonas aeruginosa Biofilms on Stainless Steel Surfaces. Innovative Food Science & Emerging Technologies, 36: 311–319, August 2016. Fig. 3. 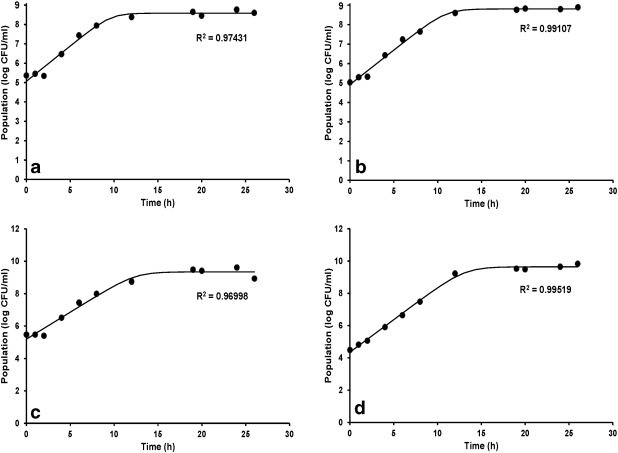 Representative growth curves of (a) P. aeruginosa 1313, (b) P. aeruginosa 1314, (c) P. aeruginosa 1909, and (d) P. aeruginosa 27,853. Surface temperature changes in (a) 316 and (b) 304 stainless steel types per surface finish (MR: ■; HL: ▲; 2B: ◆). Stainless steel is commonly used in food processing facilities. However, stainless steel remains susceptible to biofilm formation resulting to cross contamination on food products. 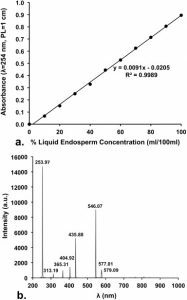 Application of atmospheric pressure plasma jet on biofilm-forming Pseudomonasaeruginosa aims to develop non-thermal decontamination technology for food contact surfaces. Suboptimal Growth Conditions Induce Heterologous Ultraviolet-C Adaptation in Salmonella enterica in Orange Juice. Food Control, 62: 110–116, April 2016. Emission spectra of the 15 W UV–C lamp source showing predominant emission wavelength at 254 nm. 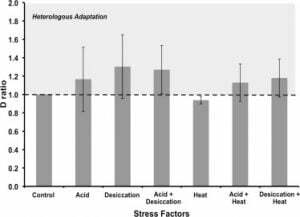 Influences of different prior stress exposures on subsequent UV–C resistance of Salmonella enterica in orange juice (pH 3.1, 11.5 °Brix, 0.63% citric acid). 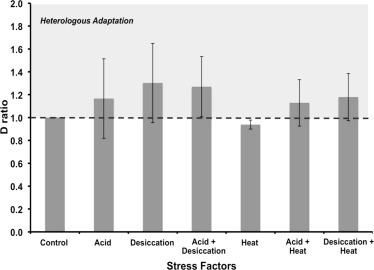 The test organisms were previously exposed to stresses through propagation in the following suboptimal growth conditions: (a) control: final pH ∼7.0, aw 0.99, 37 °C, 24 h; (b) gradual acidification: final pH ∼4.5, aw 0.99, 37 °C, 24 h; (c) desiccation: pH ∼7.0, aw 0.96, 37 °C, 24 h; (d) acidification + desiccation: pH ∼4.5, aw 0.96, 37 °C, 24 h; (e) heat: pH ∼7.0, aw 0.99, 40 °C, 24 h; (f) acidification + heat: pH ∼4.5, aw 0.99, 40 °C, 24 h; and (g) desiccation + heat: pH ∼7.0, aw 0.96, 40 °C, 24 h.
Bactericidal UV (UV-C) treatment has been approved as alternative to heat processing of fruit juices. As microorganisms experience sublethal stresses prior to UV-C treatment, it is deemed necessary to understand the effects of prior stresses on the efficacy of UV-C treatment of food products such as fruit juices. Results may be useful in choosing appropriate target organism or microbial physiology for establishing UV-C process schedules. 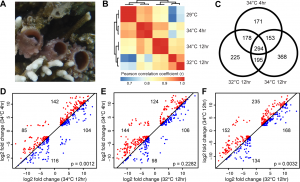 Gene Expression Dynamics Accompanying the Sponge Thermal Stress Response. PLoS One, 11 (10): e0165368, 15 pages, October 2016. Fig 1. Global transcriptome profile of adult colonies of H. tubifera exposed to thermal stress. (A) H. tubifera is a soft, pink or brownish, tubular sponge found in association with coral skeletons in shallow water reef flats. (B) Correlation of overall gene expression profiles for duplicate samples of sponges exposed to different thermal regimes (Pearson correlation coefficient, r). The correlation is based on counts per million (CPM) of reads mapping to each transcript. Only transcripts with CPM >10 in at least 2 samples were included. (C) The number of differentially expressed genes specific to or common between different treatments. Differential expression analysis was conducted on duplicate samples for each experimental treatment. Genes were considered differentially expressed if they were up or downregulated by greater than 4-fold relative to the controls with an adjusted p-value. Relative expression of sponge homologs of genes in the stress response-related protein network at (A) 4 hours and at (B) 12 hours of exposure to 34°C. The network shown is based on the curated human protein interaction network. Relative expression is shown as the sum of the average fragments per kilobase per million (FPKM, log2 transformed) in each treatment relative to the control at 29°C for all genes with a best blastx hit matching the human gene in the network (blue, low; red, high; gray, no match in H. tubifera). Node size corresponds to the number of genes with the same UniProt annotation. Marine sponges are important members of coral reef ecosystems. Thus, their responses to changes in ocean chemistry and environmental conditions, particularly to higher seawater temperatures, will have potential impacts on the future of these reefs. 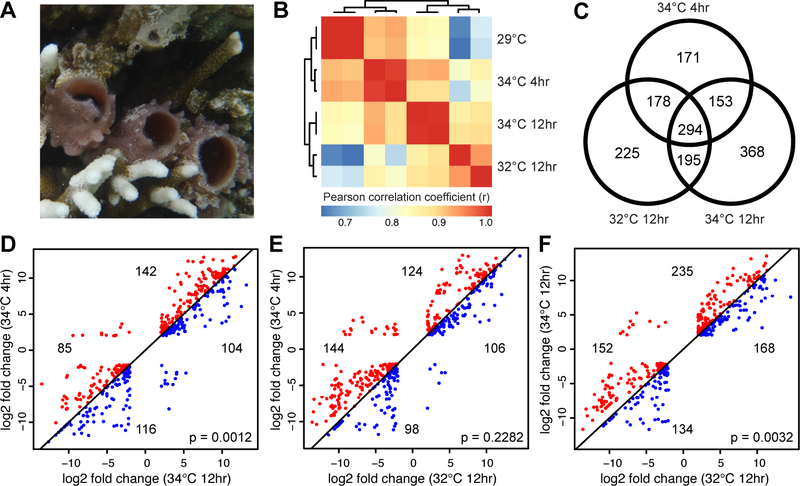 To better understand the sponge thermal stress response, we investigated gene expression dynamics in the shallow water sponge, Haliclona tubifera (order Haplosclerida, class Demospongiae), subjected to elevated temperature. 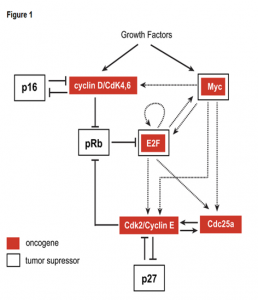 Using high-throughput transcriptome sequencing, we show that these conditions result in the activation of various processes that interact to protect cellular components, to repair cellular damage, and to prepare for future occurrences of stress. These insights into the potential mechanisms of adaptation and resilience of sponges contribute to a better understanding of sponge conservation status and the prediction of ecosystem trajectories under future climate conditions. 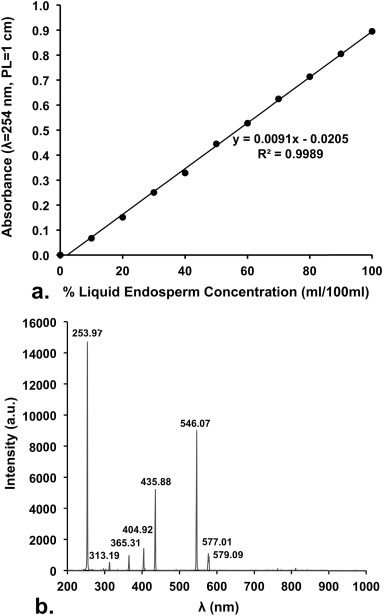 Comparative Resistances of Selected Spoilage and Pathogenic Bacteria in Ultraviolet-C-Treated, Turbulent-Flowing Young Coconut Liquid Endosperm. Food Control, 69: 134–140, November 2016. Fig. 1. Optical characteristics of test coconut beverage and UV-C lamp. (a.) A plot of coconut beverage concentration (%) vs. absorbance used in the determination of the percent solution extinction coefficient (εpercent, slope of the regressed line), from which the extinction coefficient (ε) was determined. (b.) Emission spectra of the 15 W UV-C lamp source showing predominant emission wavelength at 254 nm, at 14.0 cm source-to-detector distance. Consumer demand for coconut liquid endosperm reported rises and is attributed to its nutritional benefits. Coconut liquid endosperm is sensitive to heat processing and requires less destructive yet effective food processing technique to ensure safety. Results of this study serve as baseline information in establishing UV-C processing schedules of coconut liquid endosperm in compliance with recommended lethality level for safety and quality. “Building Back a Better Nation: Disaster Rehabilitation and Recovery in the Philippines” in Asian Law in Disaster: Toward a Human-Centered Recovery. Yuka Kaneko, Katsumi Matsuoka and Toshihisa Toyoda (editors). New York, USA: Routledge, 2016.